I’ve said in the past how Beer Pong isn’t really Beer Pong if there’s not beer in the cups. 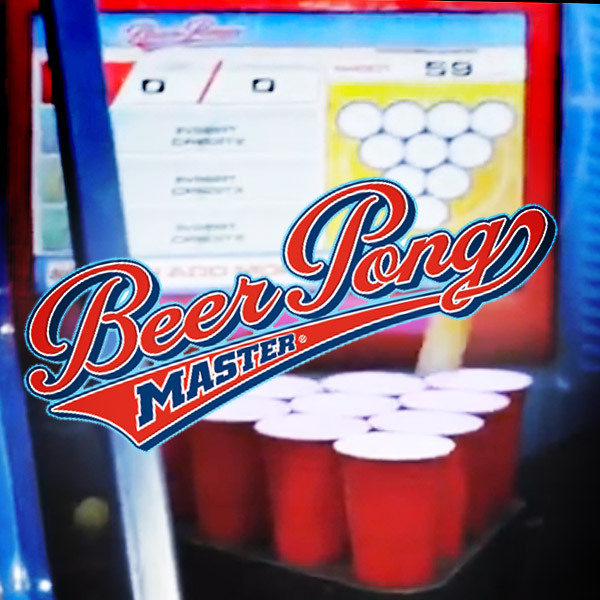 I don’t even know how to process this latest development, an arcade machine – think Skee Ball or Super Shot Basketball – called Beer Pong Master. If you’ve ever played this frat favorite, you know the game’s all about throwing ping-pong balls into red Solo cups with as much accuracy as possible. Beer Pong Master puts a high-tech spin on this by adding lights, sensors and a 22″ HD display that keeps track of your progress. No splashes, no cleavagy distractions, and no beer. Where’s the fun in that?! 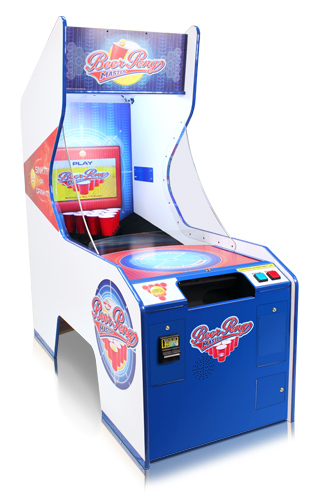 A look at the machine’s manufacturer Bay Tek Games shows that this is not some half-assed attempt to capitalize on the growing popularity of this “sport.” They make all sorts of real-deal Chuck E Cheese-type fun machines. But you won’t be seeing this puppy Where a Kid Can Be a Kid ™ – Beer Pong Master is part of Bay Tek’s “Bar Pieces” collection, so it’s not likely that it’ll be turning little brothers into little brah’s anytime soon. No word on if they’re working on a Wet T-Shirt Water Cannon game, but I imagine such a machine would be a hit in South Florida this time of year. Below is a video of the machine in action. It kills me to say that it kind of looks fun. Couldn’t agree more Jim! Part of the balancing act is supposed to be that the winners keep drinking beer and get worse to level the playing field…okay so it isn’t a classy game, but it is meant to be fun, not mastered by pumping in quarters and aiming for a high score. Yeah, I always saw it as a drinking game myself. Otherwise, it’s just childish. Add beer, though, and it’s SPORT!! Well back in my day…. we made our own beer pong tables, grilled and ate red meat like they would quit making it in 20 minutes, and had nine planets in the solar system to memorize. Beer Pong, like beer itself, and deep cleavage, is one of the few things which were built right the first time. Is there another grouping on the planet which instantly conjures something great in the near future like ten beer filled Solo cups arranged in a triad, a ping pong ball, and those other two things? The very reason I get up every day and marginally perform at some vocation in a grey, open topped cubicle is to facilitate, with the bounty of my overproduction, a savage game of analog beer pong. I remember back when we played beer pong in the snow, uphill (in both directions)! I felt the same way when Whack-A-Mole popped up (pun intended) in boardwalk arcades. Just not the same without the natural distractions. I’m also a bit concerned that if this game catches on, there’ll be a glut of Natty Light on the market.